The Kobi is eye candy for your décolletage. 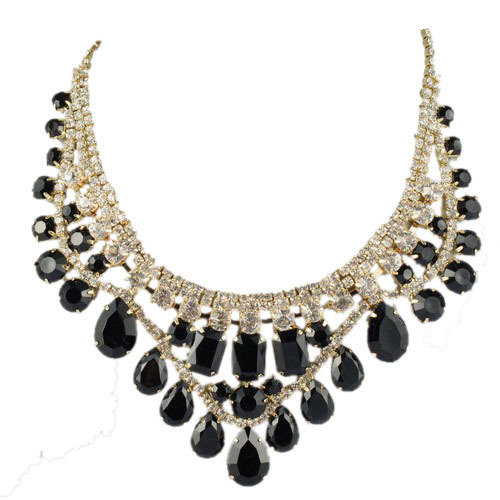 A necklace of magnificent proportions featuring a stunning design of variegated noir stones, clear rhinestones and gold plating. For the twilight hours.